With student loans that need to be paid off, savings that have to be started and retirement goals that need to be planned, millennials may become overwhelmed with all the choices they have on how to spend their money. After entering the workforce full time, millennials need to make sure they’re making the most of their money. 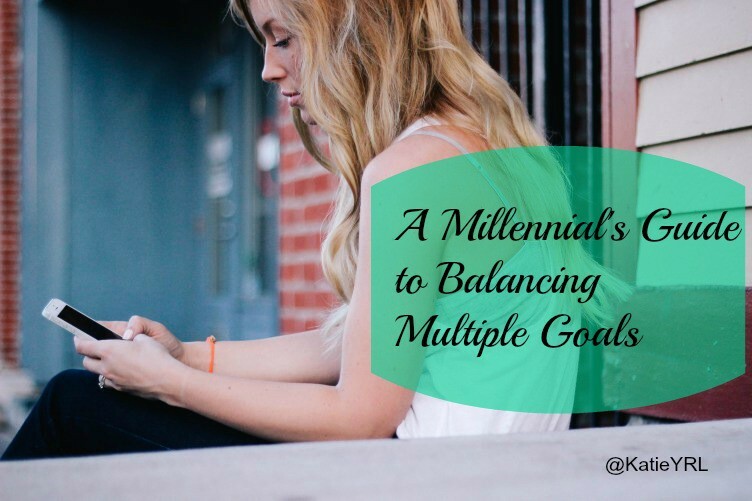 So herein lies the question — what should millennials do with their money when they are juggling multiple goals? Should you have more than one goal at a time? As a financial coach, clients often ask me if they should focus on more than one goal at a time. Of course the answer depends on everyone’s personal financial situation, but in general the answer is yes. If you have student loans, you can still save for retirement, if you have credit card debt, you can still save for a down payment on your first home, and if you want to travel, you can still save for your next big purchase such as a wedding or a new car. The secret to tackling your goals is to divide and conquer them in order of priority. The first step in setting priorities is to separate your goals into two categories: short and long term. Any goals with a realization date of less than two or three years are considered short term; these can be things such as taking a vacation and building up an emergency savings fund. Longer term goals include things like buying a home and saving for retirement. Once your goals are prioritized, you can start to set a budget and decide how much of your income you want to (and can realistically afford to) allocate towards each goal. I suggest allocating at least 20% of your take home pay towards savings for your goals. However, the more money you can allocate towards your goals, the better off you’ll be. More savings equals faster goal achievement, and that’s always a good thing. If you’ve never set a budget before, a good place to start is with the 50/30/20 rule. 50% of your take home pay (a.k.a. net after taxes) should be allocated to your fixed expenses and bills including minimum debt payments, 30% can be spent on variable monthly expenses and 20% should be saved or used to make extra debt payments. What if you don’t make enough money? If you can’t currently afford to save the amount of money you would like to for your goals you have two options: start making more money or cut some of your expenses. There are several ways you can earn more income such as asking for a raise at work, picking up freelance work, starting a side hustle or looking for a part time job. If adding more hours into your work week isn’t your cup of tea you can also make cuts in your personal spending and monthly expenses as a way to free up more disposable income. Always keep in mind that a dollar you don’t spend is a dollar that can be saved. If you want more information on setting, prioritizing and achieving your goals, join the #MillennialTalk on March 31 on Twitter at 8 pm EST. I’ll be tweeting live with more than two dozen other personal finance pros. You’ll get practical tips that can help you establish a positive relationship with money. Follow me on Twitter @KatieYRL and RSVP here.